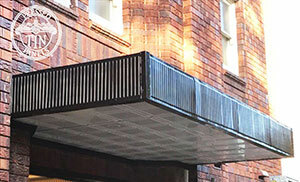 view the Finger Panel here and the Maddington panel here. 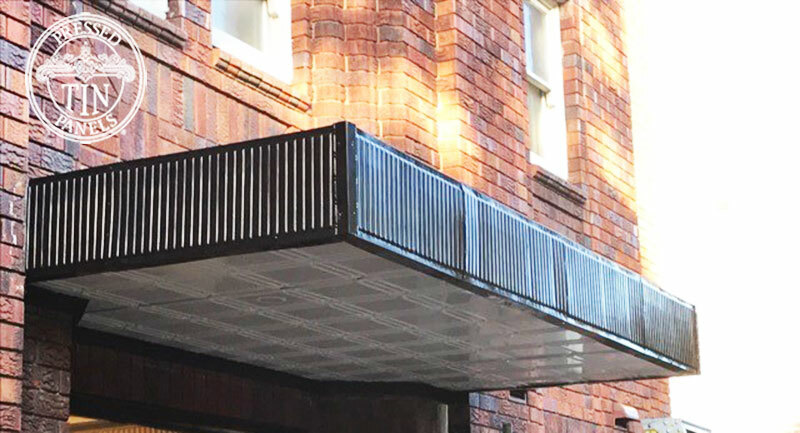 When planning for works on the Entrance Awning of Aston Gardens, located in the heritage area of Sydney’s Bellevue Hills, we were looking for a manufacturer of Pressed Metal Panels to replace the delapidated panels on the existing awning. 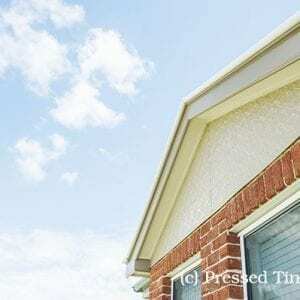 We needed exterior ceiling panels, fluted fascias on three sides and matching cornices. 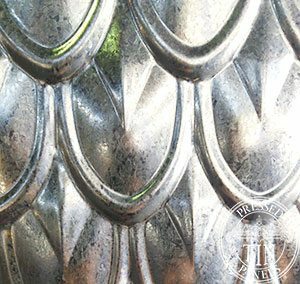 Raquel at Pressed Tin Panels was very helpful during the selection and ordering process. 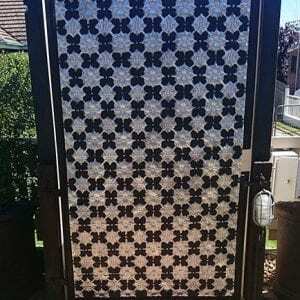 We were able to get the panels ordered to size and they all came powdercoated to our specifications. 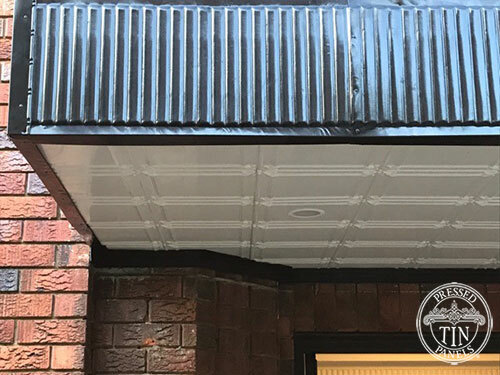 The installation of the pre-finished panels and nails was straightforward and the result is eye catching and very much in keeping with the buildings Art Deco characteristics. 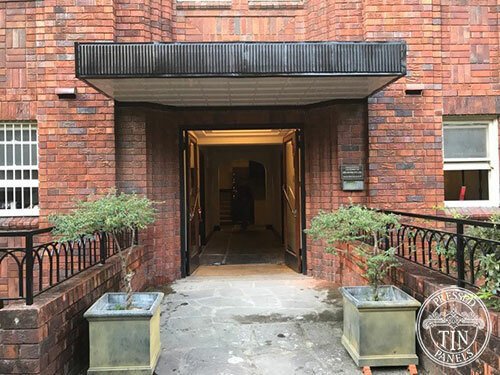 Delighted we were to assist with this project, view the Finger Panel here and the Maddington panel here. 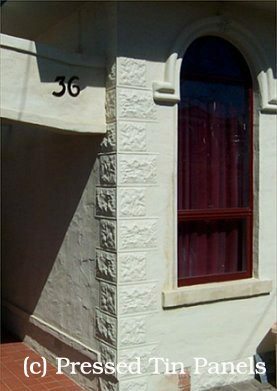 Contact us for your specialty requirements.